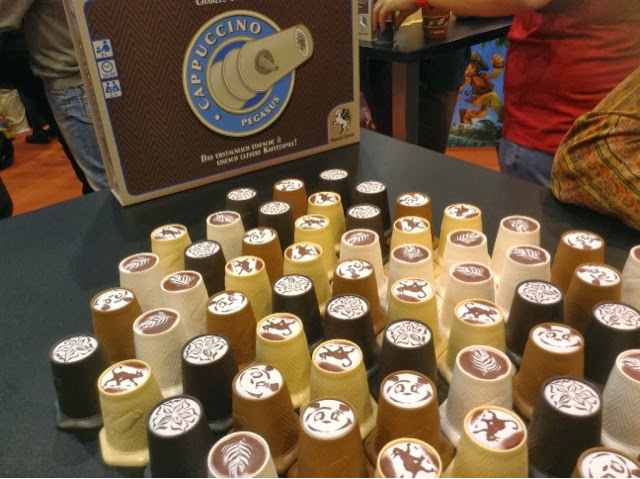 Cappucino is an abstract area control / takeover game that involves players stacking cups and trying to eat up the pieces of the opponents. The game goes really quick and is over in about ten minutes. Each player is assigned an icon ( I chose the panda naturally, being the animal lover I am ) and they will control all the cups with the stated icon. On your turn, you simply pick a cup of yours and stack it on top of an adjacent cup. 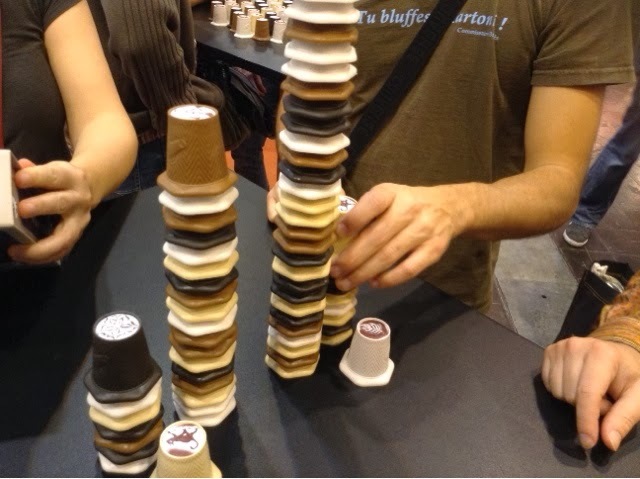 You may stack your cup ( or your stack of cups ) on another stack that is either smaller or the same height as your chosen stack. If ever a stack is split from the main area, the player who owns the topmost cup of the stack will place the whole stack in front of him/her. Play carries on till all the cups on the table have been placed in front of all of the players. Players then compare who has the total highest combined stack of cups and that player is the winner. Cappuccino is as simple as it gets really. 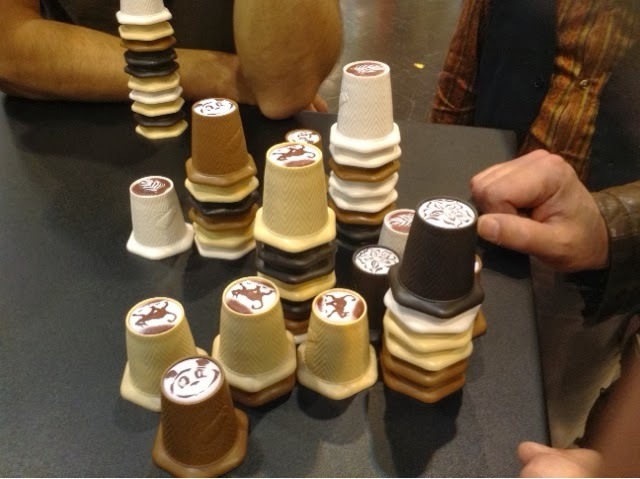 It's probably a game that you've played before just that now it comes with some lovely detailed cups. The game is a good time waster and does require some tactical thinking and positioning, but that's all it brings to the table. The decisions are neither difficult nor interesting. It's more a puzzle than anything else. Do watch out though, a small mistake by someone can cause another player to win the game as you can see in the picture above. That tall stack resulted from an EXTREMELY careless mistake. Game was over at that point. Overall, it's nothing new or fancy, it's just that the cups are so pretty I might buy it to break it up for small gifts or something of that sort.